From the 10th to the 12th of November 2009, the DAMOCLES (Developing Arctic Modeling and Observing Capabilities for Long-term Environmental Studies) project held a symposium in Brussels, Belgium. The symposium gathered more than 150 scientists involved in the EU-funded research project. 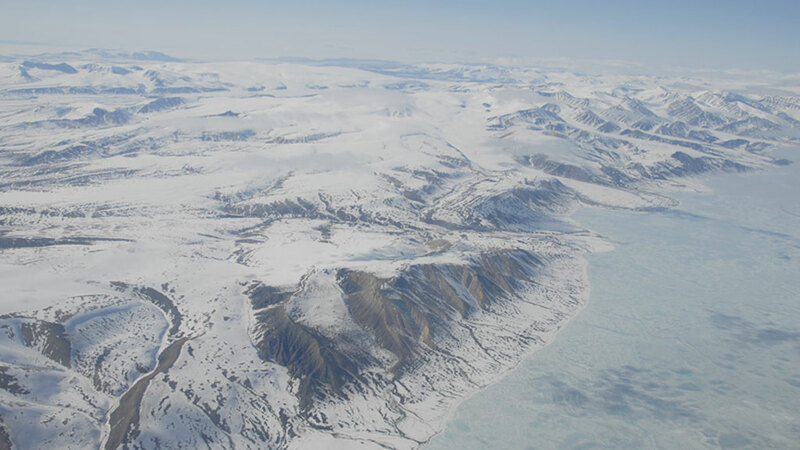 They could debate and discuss the results of their observations and modelling as well as the scientific and technological challenges scientists face as they try to better understand the Arctic and its role in the climate system. Since 2005, the DAMOCLES project aimed at creating an integrated ice-atmosphere-ocean monitoring and forecasting system for observing, understanding and quantifying climate change in the Arctic with the goal of creating more reliable models for sea ice, ocean currents and atmospheric conditions as well as determine what might happen to Arctic ecosystems and the economies for the inhabitants of the Arctic as climate change progresses. The symposium held in Brussels was meant to serve as a sort of wrap-up session as the project draws to a close, officially ending in June 2010, although there is a possibility of scientists working in the project re-convening again in May or June of next year, allowing more time for findings to be digested and refined. While there are many European research institutions involved in DAMOCLES that have been receiving funding under the project, research institutions from outside the EU have also been invited to participate in DAMOCLES, as long as they were able to find their own funding. This meant scientists from all corners of Europe were represented at the conference as well as many from the United States, Canada, Russia, China and Japan. Observation and monitoring of the Arctic Ocean is minimal when compared to how much observation and monitoring other oceans on the planet receive, as harsh climate and sea ice conditions make the Arctic Ocean very difficult to monitor. However, the Arctic's important role in regulating the Earth's climate makes it all the more important to conduct observations in the Arctic Ocean. Since 2005, researchers have been deploying instruments for observation in the Arctic, including buoys, moorings and gliders, as well as sending the sea-ice resistant French schooner TARA to drift freely in the pack ice over several months in order to collect data on the ocean, the sea ice and atmosphere in the Arctic. Changing ice drift velocities, given that in recent times, the pack ice has been moving much more quickly than it used to (as evidenced by the fact that it took the TARA less than half the time to drift the same route as Norwegian polar explorer Fridtjof Wedel-Jarlsberg Nansen drifted in his polar ship, the Fram, in the 1890s). How researchers are just beginning to investigate how the methane released from the melting of permafrost in the Arctic and sub-Arctic regions of the planet will affect carbon levels in the atmosphere and whether this will induce a significant positive feedback. How significantly reduced sea ice cover are affecting Arctic ecosystems, human activities such as fishing and the economy of Arctic regions. For a better understanding of the science of modelling, Dr. Ralph Döscher, Senior researcher in ocean and climate modelling at the Rossby Centre of the Swedish Meteorological and Hydrological Institute and Project Co-leader in charge of numerical modelling for DAMOCLES, explains the kind of climate modelling that has been done within the project in an interview with SciencePoles. DAMOCLES scientists also agreed upon a joint declaration on the Arctic climate system, its present status, future evolution and potential impacts, which they released to the press and the general public on 12 November. The declaration discusses the recent decline in Arctic sea ice, noting that the observed decrease of Arctic summer sea-ice extent over the last few decades has resulted from "a combination of strong natural variability of the coupled atmosphere-ice-ocean system and a growing radiative forcing due to rising concentrations of greenhouse gases." The declaration goes on to express the concern of the DAMOCLES scientists about the most recent estimates of greenhouse gas emissions, stating that "unless emissions are curbed significantly, we are not expecting a stabilisation of the Arctic's climate system."